This is it! NomNom Club will turn 1 on September 9, 2010! And we will celebrate our 1st year anniversary with our community of readers/email subscribers – the NomNom Foodie Club! Since it will be on a Thursday, we will celebrate it in advance on September 4, 2010, Saturday 1pm to 3pm at the Greenwich branch of SM North Edsa. Due to venue space limitations, we might be able to only accommodate the first 40 50 NomNom Foodie Club registrants as of now. If you have registered in the NomNom Foodie Club before August 27, 2010, then you are entitled to join. Sign Up for the 1st NomNom Foodie Club Meet Up by leaving a comment below. In filling up the comment form, be sure to use your email that is subscribed to NomNom Club so I can check it in the list. Lastly, I would just like to clarify some terms to avoid confusion. NomNom Club is the food blog. NomNom Foodie Club is our community of email subscribers who have also signed up through this form. Sign up through the comment form below and see you next week in the NomNom Club 1st Anniversary AND 1st NomNom Foodie Club Meet Up. you are a winner in the LetsGoSago.net contest right? You’re welcome jonsky! as long as you’re an email subscriber and a member of the Foodie Club. 🙂 hope to c u! Yes, there are less than 17 comments so far, which is very far from 40. There are 20+ more slots for the email subscribers! Mee! I’m available! Pa join! habol pa! orig nomnom member! Can I bring my little girl with me at the event pala? HAPPY 1st Year Anniversary more delicious years to come! Thank you, Jonel & see yah! I’d love to attend however I have work until 4pm. 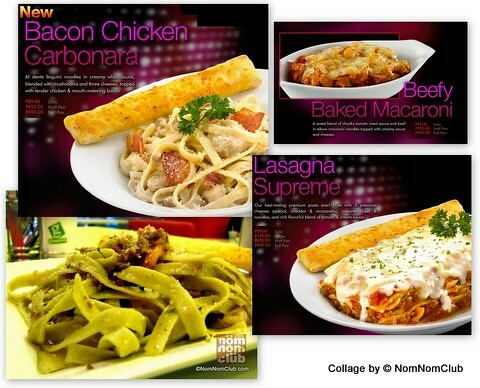 please count me in for Nomnoms 1st yr anniv celebration along with 5 companions. thanks! Since the venue has limited space, the event is exclusive to email subscribers who are also members of the NomNom Foodie Club. If your companions did not receive an email invitation to this event, my apologies in that only you can attend. As inidcated in the post, the event is exclusive to NomNom email subscribers and Foodie club members. you commented here with the email “se__@ seo_____er.com”. I checked my lists but the email is not in the email subscriber list nor the NomNom Foodie Club member list. a few more slots abailable. Earth, I can’t find your name or email in the email subscriber list or the NomNom foodie Club list either. nag-sign up ka na ba ever sa “Join NomNom Club” link sa taas? Yey… Happy naman ako sa SM North Edsa ang venue, medyo malapit dito sa amin. See you all tomorrow. Thanks Jonel for counting me in on this one.